The Supreme Court gave a notice to bollywood super star Amitabh Bachchan on the Income Tax department behalf. 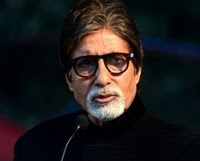 The IT department says Amitabh owes 1.66 crores in taxes for his popular show Kaun Banega Crorepati for the year 2001-2002. They had appealed in Supreme Court against the High Court order. Among the reasons given for reopening assessment were that the books of accounts kept by Big B were not examined and that although he had 7 bank accounts he had given details of only six of them.